Can 013 easily be reached by public transport? Certainly! 013 lies within a walking distance of only 10-15 minutes from the Central Station. Have you forgotten to look up a route? Click here for a link to get your route. What is the best place for parking? If you arrive after 18:00h you can park until closing time for €6. Plus, if you arrive after 18:00h, you can pay at the machine before you go to 013. If you're going to park for 3 hours or shorter, do not use this option! What are the opening hours of the Boxoffice? When there is a show or other type of event taking place, the Boxoffice is always open. So please drop by! Outside the show hours our Boxoffice is also open from Monday through Friday from 13:00-17:30. Are there sufficient hotels in the surroundings of 013? 013 is situated in the centre of Tilburg, so there are several hotels. Click here for our hotel and restaurant partners (in Dutch). Are there any restaurants or bars in the surroundings of 013? Certainly! The adjacent Korte Heuvel is full of pubs and small restaurants. Click here for our hotel and restaurant partners (in Dutch). Our terms and conditions (Dutch) apply to all of our tickets. You can purchase your tickets online on this website on the event page by pressing the 'Tickets' button. You can also purchase your tickets on Ticketmaster.nl. Please note: 013.nl and ticketmaster.nl are the only official ticket selling points, unless stated otherwise on our website. If you buy tickets at other websites, you risk paying too much money or buying invalid tickets. If you don't want to buy your ticket online, it's possible to buy your tickets at our Boxoffice or at several presale addresses. Do I need to pay service costs? Purchasing tickets in the presale will require an additional service costs fee. We fully understand that you'd rather not do this, but unfortunately there are costs on ticket distribution. These are available at the 013 Boxoffice, Sounds Tilburg (record store) and the several presale addresses. By selling separate tickets for our wheelchair platform, we can provide the best service for the less abled. For instance, in order to prevent an overcrowded platform. These tickets have the same price as regular tickets.We don't have a wheelchair platform in the Jupiler Hall, so we only sell wheelchair tickets for shows in the Main Hall. Can you scan my ticket from my mobile phone? Yes we can, unless you have a cracked screen. Please maximimize the light and resolution from your screen and zoom in unto the barcode. Thanks a lot in advance. Oh and put thel ight of your screen back to normal when you're inside, so you won't blind the guy next to you. What can I do with my ticket when an event is cancelled? Tip: make a copy of your ticket for your own administration. Please be aware that service costs won't be paid back. What can I do when an event is rescheduled? Your ticket remains valid on the newly scheduled date, so you don't have to do anything. If you are unable to attend the event on the new date, you can request a refund by contacting Ticketmaster as stated above. When you are unable to attend the event, it's not possible to cancel your tickets. However, we don't want the tickets to get into the wrong hands. We have found a solution to that problem with our good friends of TicketSwap. On this website you can safely sell your tickets. Can I buy tickets via telephone? Do I need ear plugs in 013? The sound can be very loud in 013, which is bad for your hearing. So we advise to always bring ear plugs! Did you forget them or don't you have ear plugs? No worries: you can buy them in 013. Please look for the machines on the well or ask one of our colleagues. Where can I find a time schedule of the event? In the week prior to the show we put the time schedule online. You can find the schedule by going to the programme and clicking on the show of your choice. At what time does an event end? We try to take account of public transport as much as possible. On average concerts, end time is around 23:00 hours (sometimes a little earlier, sometimes a little later). For night shows the end time is 04:00 hours. Can I still buy tickets for an event that is sold out? Sold out unfortunately also means actually sold out. The fact is that we cannot take back tickets anymore. On the 013 website you can see on the page of the sold out event whether any tickets are offered via TicketSwap. People who are prevented to attend can resell their tickets here in a safe manner. There is a chance that you pay a little bit more, but on TicketSwap you will never pay more than 20% extra. Higher prices are not possible and TicketSwap will check the validity of the ticket. Can I pay with cash in 013? You can only pay in cash for the merchandise of the artists. For everything else you have to pay with 013-tokens. These tokens are available via the token boxes on the wall (bank card as well as cash; only bank notes of €10 and more, the machine automatically provides the maximum number of tokens) and via the service desk or Boxoffice (here you can also pay with coins, with a bank card or buy a specific number of tokens). Please note: remaining tokens cannot be returned for money! You can never pay with tokens for the merchandise of the artists, so we always advise to bring some cash along. Can I spend gift cards at 013? Some of the Dutch gift cards like the podium cadeaukaart can be spend at 013. The Ticketmaster giftcard can also be used online. 013 also has their own gift card which can be purchased at the Boxoffice. Can I hand in my old coins? At 013 tokens are not valid forever. Unfortunately, we cannot take back paper 013-vouchers, blue or red 013-tokens (and the related yellow half tokens). Green, purple, black and grey 013-tokens are still valid. In 013 the house rules and the General Conditions apply. Is there a minimum age applicable in 013? Only for events where it is indicated. For all the other events we believe it is the parent’s responsibility to decide whether a child can go to a concert or not. However, we do have a rule that visitors under the age of 14 must be accompanied by an adult (18+). Can I get alcohol and cigarettes in 013? Yes, but in 013 we do not serve alcohol and/or sigarettes to persons under the age of 18. We check at the door and an ID will be asked in case of doubt. Is 013 accessible for disabled persons? In the Main Hall we even have a platform with wheelchair places. With this platform we can guarantee disabled people to have a perfect view on the stage. Please note, we only have a limited amount of space available on this platform. Are you pregnant, do you have a sports injury or another medical reason that prohibits you from standing for a long period of time? Please mail to info@013.nl and we'll arrange a chair for you (again, we only have a limited amount.) A companion may take place on the wheelchair platform if there is enough room. When the platform is full, the accompanying partner can take place next to/behind the platform. If wheelchair tickets are sold out, you're still welcome in 013, but we cannot guarantee a place with a good view on the stage. In our smaller room, Jupiler Hall, we do not have a platform. But we do want to look into your situation to see what we can do for you. So please mail us to info@013.nl. Live concerts, dance and club nights, large festivals such as Roadburn en WOO HAH, and non-music programming: you will encounter it all at the renewed 013, the largest pop venue in the Netherlands in the heart of Tilburg. 013 is THE venue for pop and dance culture in the broadest sense of the word. Born out of a fusion between the Tilburg organisations Noorderligt, Bat Cave and MuzieKantenWinkel, the pop venue opened its doors in November 1998. After a short but thorough refurbishment, 013 reopened in November 2015: larger and more pioneering than ever. On 13 November 2015, 17 years after the founding of 013, the doors opened for a large scale reopening festival in the two new concert halls: the Main Hall and the Jupiler Hall. Director Frens Frijns and alderman of culture Marcelle Hendrickx emphasized that 013 had to be refurbished to meet the wishes of the contemporary concert visitor. Eight entrances have therefore been created in the Main Hall, of which one leads directly to the downstairs bathrooms; the entrances have been broadened; and on all sides and on the balcony seven-meter bars have been installed. In the new smoking area on the balcony visitors will still be able to experience the atmosphere of the concert. Simultaneously, 013 had to increase in size to keep its leading position. 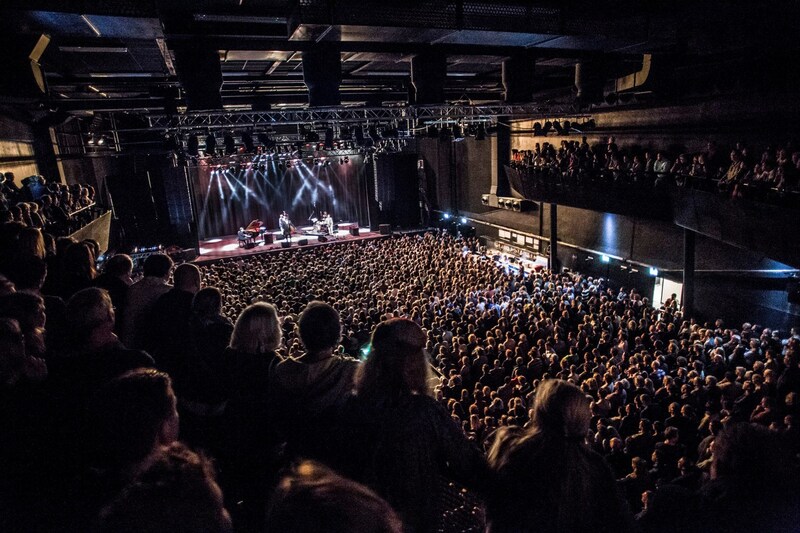 The capacity of the Main Hall has been increased from 2,000 to 3,000 visitors, which provides 013 with the opportunity to bring unique artists to Tilburg. 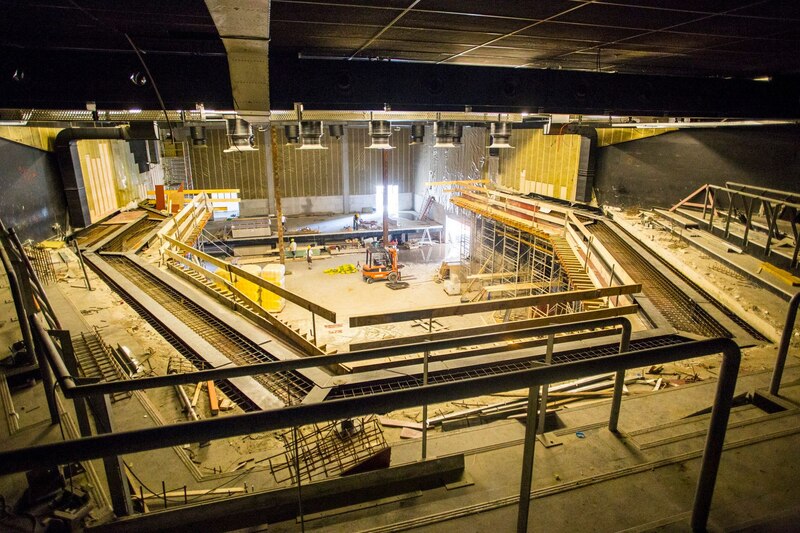 By moving the stage in the Main Hall backwards the floor area has tripled in size, which creates a perfect space for dance events. The stairs have remained: the trademark that provides visitors of 013 with optimal sightlines. The greatly enlarged balcony embraces the Main Hall, which creates a feeling of intimacy and even better sightlines to the stage. The former small concert hall has been dubbed the Jupiler Hall and has increased in size from 325 to 700 visitors. It concerns a merging of the small hall and Stage01 (previously known as Bat Cave), which unfortunately caused the loss of Stage01. However, because of the new hall’s conical shape it is still an intimate space and lends itself very well for concerts with 200 or more visitors. Also here the balcony has been enlarged and equipped with a bar. For smaller or specialized concerts 013 is working with other venues in the city such as Hall of Fame, Little Devil, Extase, Cul de Sac and Paradox. 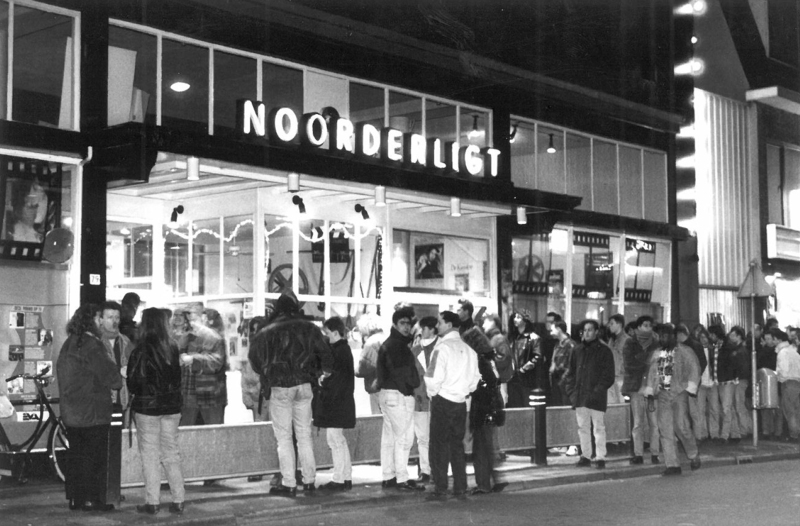 Tilburg has known a lively music scene for quite some time. From this scene arose the infamous venue Noorderligt in 1984. Click here for the extensive archive. Just one single concert hall for a 1,000 concert visitors proved to be insufficient for music city Tilburg, which is why in the early nineties the chairman of the board and the director at that time launched a revolutionary idea: a new building for professional pop music and dance in three concert halls, in addition to space for music production and education. Two other venues in Tilburg were enthusiastic and expressed a wish to participate. That is how Bat Cave (platform for youth culture since 1985) and the MuzieKantenWinkel (volunteer organisation with rehearsal spaces for starting musicians) joined in the new building. In addition, the municipality of Tilburg supported the new building plans and in 1997, at a prominent place in the heart of Tilburg, the first bricks were laid of the new building of the Popcluster. On 13 November 1998 013 opens its doors, which was a unique event in the Netherlands. It was the first new building for pop music in a city centre and simultaneously the start of an unprecedented building wave in the landscape of professional music venues. In the mean time an important question was left unanswered in Tilburg: what would be the new name of this Popcluster? A competition among the staff provided the solution: Monica Knaapen submitted 013. In 2001 the Bat Cave was refurbished, and its name was changed to Stage01. For its recent refurbishment 013 was closed for only 5 months. During the process the typical exterior of 013 was mostly left unchanged. Only the entrance has been moved, which has made it possible to have a separate entrance for each of the two concert halls. Visitors for the Jupiler Hall now enter underneath the Main Hall, which is more comfortable and prevents nuisance in the neighbourhood. Still intact is the typical black outer shell, consisting of a quilt (a with glass wool-filled rubber roof and wall covering) with CDs on the tie points. This find by architect Benthem Crouwel, who was also in charge of the refurbishment, refers in a playful manner to the musical function of the building and is at the same time a parody on the flickering lights of Las Vegas. So how will this expanded 013 affect the inhabitants of Tilburg? Director Frijns: "An exquisite, fresh and much larger offer of concerts, dance events every Saturday night except during Roadburn, more national and international visitors and consequently more music tourism in the city." Even though according to the director inhabitants of Tilburg are "proud that Toto is playing here", they should not expect 013 to sell 3,000 tickets a hundred times a year. This is also not necessary, because the Main Hall can be downsized to 2,300 visitors (balcony closed) and 1,400 visitors (separation wall on the stairs). "We're in Tilburg and not in Amsterdam, and we're not solely interested in getting those big acts. We are also very much want to bring the bands for a 1,000 visitors to Tilburg." 013 has high expectations of the new dance programming, for which programmer Bas Veekens has been instated. The dance events will predominantly take place in the Jupiler Hall, and will every now and then be extended into the foyer underneath to create the feeling of a nightclub. With its enlarged hall capacity 013 is able to look towards the future. In the renewed national music venue landscape 013 is once again ‘a league of its own’, as envisioned by Frens Frijns and the Tilburg municipality.